Have you ever used a word so many times that it sounds funny? The first time it ever happened to me was with the word “pants”. Pants, pants, pants, pants. See, it sounds funny. Christian culture, I presume, is going through something similar with the word “grace”. We have some pithy definitions of it that are true but not full. We use it so often in church that many of us are inoculated to what is actually meant. For too many of us, including myself, the message of grace (the gospel) has been about me getting my sins forgiven, or it’s primarily about my own psychological health, or being rid of my guilt, or not needing to try as hard to earn God’s favor. That is grace to many of us. These are all good things, but I do not believe that these are truly the most gracious things that we receive. To be honest, in church, the word is just starting to sound funny. Pants, pants, pants. I have recently begun studying the gospel of John in my daily devotions. It’s actually a new thing for me. I’ve always been a bible-in-a-year guy; which means my inner legalist is angry at me for changing the pattern. Regardless, John very clearly elaborates on the full meaning of the grace imparted to us in John 1. 16 Out of his fullness we have all received grace in place of grace already given. 17 For the law was given through Moses; grace and truth came through Jesus Christ. 18 No one has ever seen God, but the one and only Son, who is himself God and is in closest relationship with the Father, has made him known. Jesus has brought. Moses brought the law, Jesus brought grace. 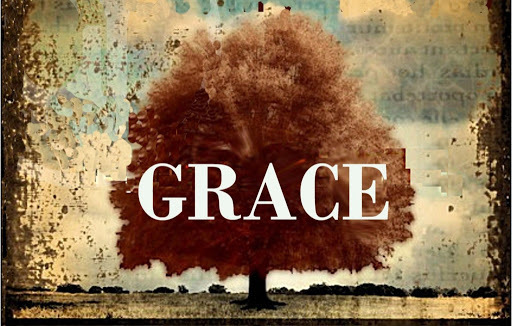 Out of Jesus’ fullness, John says, we have received “grace upon grace”, or “blessing upon blessing”. Really the NIV does best on this one as it is written above, that basically Jesus gives so much grace that it is piling up on top of other grace. 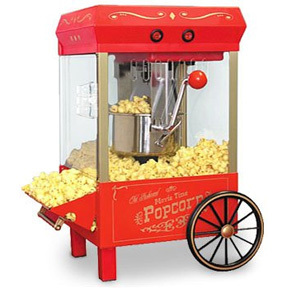 Like when a popcorn machine is making so much popcorn that it starts pouring out onto the ground. That is pretty awesome! That is how God dispenses grace. But then John closes this section of scripture by explaining to us what this grace contains. In Jesus’ arrival on earth, in His coming, and living, and dying, and resurrecting, Jesus revealed God to us in a way that was impossible to ever know Him before. Jesus gave us the opportunity to actually know God! He revealed Him to us. By Jesus dying and resurrecting, He provided the path through which we may actually come to know God. Yes, sins are forgiven, no you don’t have to continue to try to earn God’s favor, yes you can become psychologically whole – but all of those things occur when we truly embrace and know God. The end of the cross and tomb is not just your sins forgiven, or your mental health, the end of the cross and tomb is that you get to know God. That is why Jesus came. That you might know Him. That is grace. And that could never sound funny, and we could never get tired of saying it.